When it comes to selling your car, it can cause a real headache, so we are going to look at the different ways to sell your car and the pros and cons of each method. Whether it’s an easy, quick sale you want or if you have time to invest, there are ways to suit everyone. It is important to consider the best way to sell your car that works for your circumstances. If you want to buy your next car from a car supermarket or dealership then having the cash in your pocket way help your bargaining power. In this case, selling you’re car in advance may work best for you. While selling your car privately may give you the best price for your car, it is worth considering a few things. The key one being that it can be very time consuming and take a long time to actually sell. So if you are in a hurry to sell your car, then this may not be the best option for you. You will obviously need to advertise your car so that potential buyers know that it is for sale. This can be done in many different ways, some of which are free to use, while others incur a charge. Free advertising can be done by using social media, asking friends and colleagues, putting a for sale sign in your car window and some online sites such as Gumtree. Sites like gumtree do not specialise in selling cars. Your advert can get lost in a sea of adverts, just as it can on social media sites. 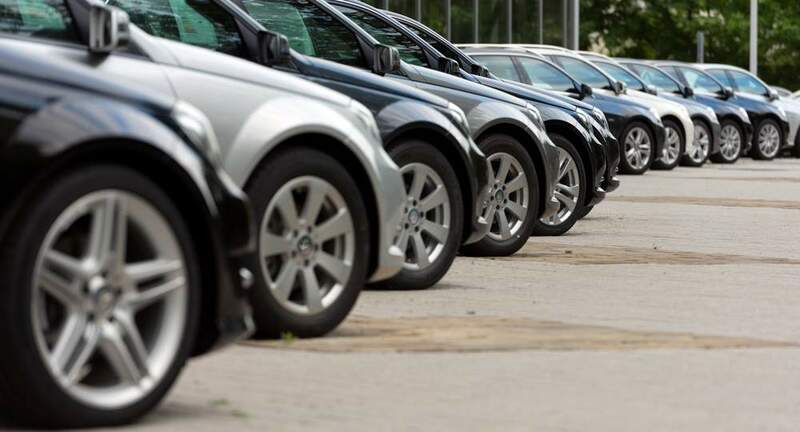 You are also up against sellers who have priced their cars unrealistically, and this can make connecting with a buyer very tricky. Selling through specialist sites such as AutoTrader will make it easier to connect to potential buyers. People visiting these sites are usually looking for a specific vehicle. There is a lot of online traffic, and thousands of vehicles get sold this way. Of course, this does also mean that you will have a lot of competition from other sellers. Also, many specialist sites will charge you an advertising fee, which if your car takes several weeks/months to sell, may end up becoming quite costly. When selling privately, you will need to ensure that you have all the necessary paperwork up to date. You also need to prove you are the legal owner of the car. Provide an accurate description of your car and price it realistically based on any imperfections it may have. A regularly serviced car is more appealing. There is a lot of competition out there for second-hand cars, so be prepared for a long wait before your vehicle sells. You will need to answer queries regarding your vehicle promptly and be available to potential buyers for viewing and test drives. There are also a lot of time wasters, people who arrange to view your car then never show up. Be safe and make sure that you receive your money before parting with the car. The best way to sell your car for many people is via a dealer in part exchange for another car. This works well as you can trade in your old car and pay the difference for the new one. 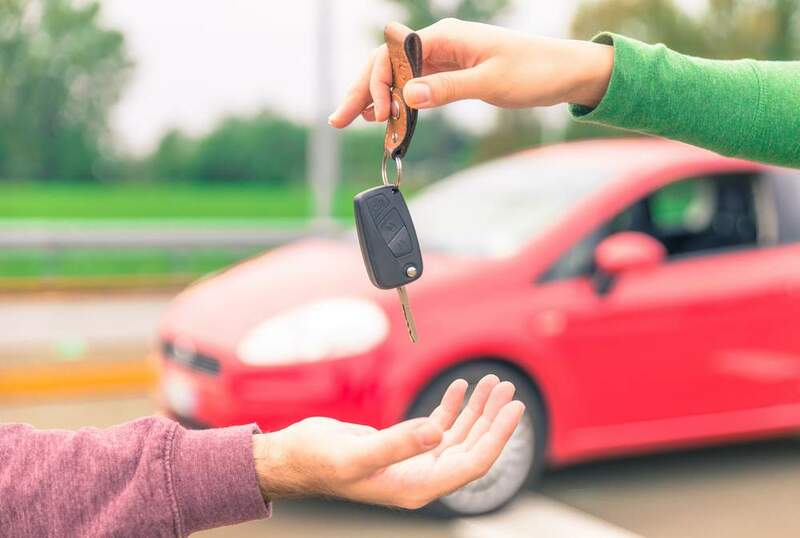 Although you may not get such a good price for your car as you would by selling it privately, it is hassle-free and you can drive away the same day with your new vehicle. The dealer will offer you a slightly lower price as they will need to make money selling your car on. If you are prepared to take between 10 – 15% less for your car, then part exchanging can be a very good solution. It is worth noting that dealers are not so keen to negotiate a purchase price when part exchanging your vehicle. You can negotiate on the vehicle you are buying though, and as long as you are happy with the exchange value, this is an excellent way to upgrade your car. You can also sell your car outright to a dealer. Some dealerships will buy cars of all makes and models, while others may limit to the same make as the ones they sell. If a dealer is selling only one make, Ford, for example, they may still take your car, but offer a lower price for it as it isn’t one of their brands. Selling your car to a dealer means they will base their offer to you on the trade value of your car. It is worth looking into the dealers in your area and remember you can negotiate to get a better offer. Know the value of your vehicle before you go to the dealership and be prepared to haggle. The advantage of selling to a dealer is that you are guaranteed the money in your pocket (or bank account) that day. You don’t have the risk of a dodgy sale, not receiving your money or the person not turning up. A dealer will give you a straight forward easy transaction that means all you have to do is provide the vehicle and the V5. Selling your car at auction can be quite easy. There are online auction sites, such as eBay, and live auctions through car auction companies such as British Car Auctions. With online auctions, you can create a reserve price, or even list it with a buy it now price. You must make sure that your description is accurate so that you don’t mislead any potential buyers. There will usually be an insertion fee plus the commission, which will be a percentage of the final sale value. There are risks involved in selling your car on eBay. There are dishonest buyers out there, so you will need to take precautions to protect yourself. Live auctions require you to pay an entry fee, usually around £30. You set a reserve price for your car then take it to the auction and wait for bidding to end. The highest bidder will win the car and pay on the day. The Auction house will then take their commission, around 10%, and give you the rest of the money. Although auctioning is quick and simple, there is no guarantee that your car will reach its reserve value and may therefore not sell at all. Most auction buyers are in the motor trade and will be looking to pay as little as possible. An increasingly popular way to sell your car is via an online car site such as Top Deals 4 Wheels. This is a quick and easy option, where to begin, you simply need to enter your registration number and answer a few simple questions before receiving an offer. In many instances, you can sell your car in only a few hours, and if you choose Top Deals 4 Wheels, your car will be picked up from your house free of charge. The agreed payment will be transferred to you back account before the car is taken away. It’s no secret that selling your car this way can result in you getting a lower value than if you sold your car privately. However, the difference in value has to be weighed up against the time you spend if you were doing everything yourself. If you want a quick, hassle-free car selling experience, then a car buying site will be your best option. When it comes to the best way to sell your car which method you choose will depend on your own personal circumstances. If you want to get the very best price possible and have the time to spare then a private sale is for you. If you want a quick sale, with very little effort needed, then an online car buying site is a perfect choice.